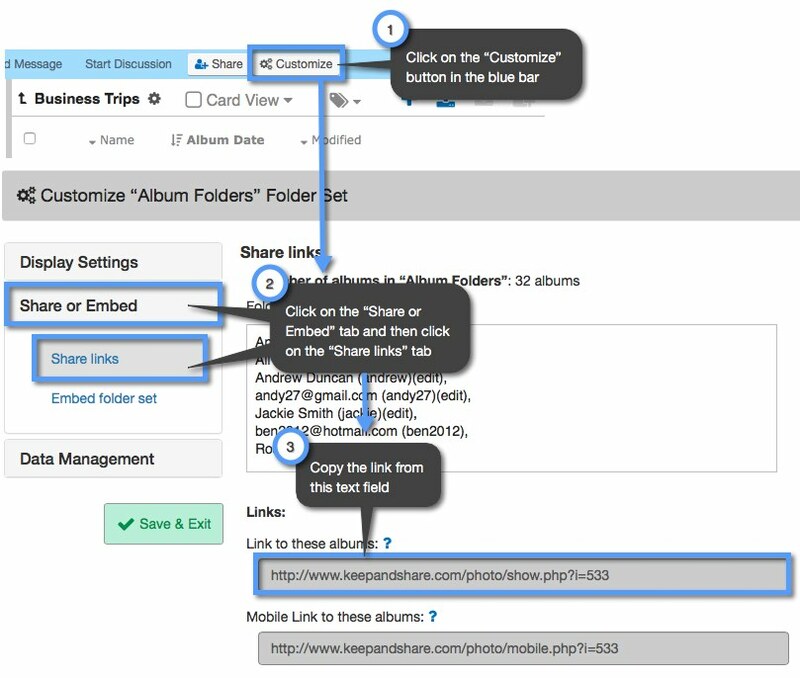 If you want to share hundreds of photos at once, you can share the folder set link for your photo albums. Each folder set can have dozens of folders, which in turn can hold dozens of photo albums. This is a quick way to share a lot of information at once.